I’ve been poking the BiS options wondering what it would choose if I had access to everything vs what I can get, as I’ve got some sockets and a TF in a couple of slots I used the generic feral to see what it would choose. With these filters it chooses a pair of boots and a trinket from Crucible of Storms. 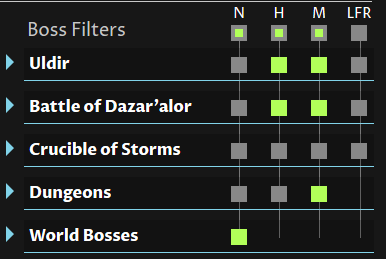 I didn’t change talents or other filters, just the default feral and single target. 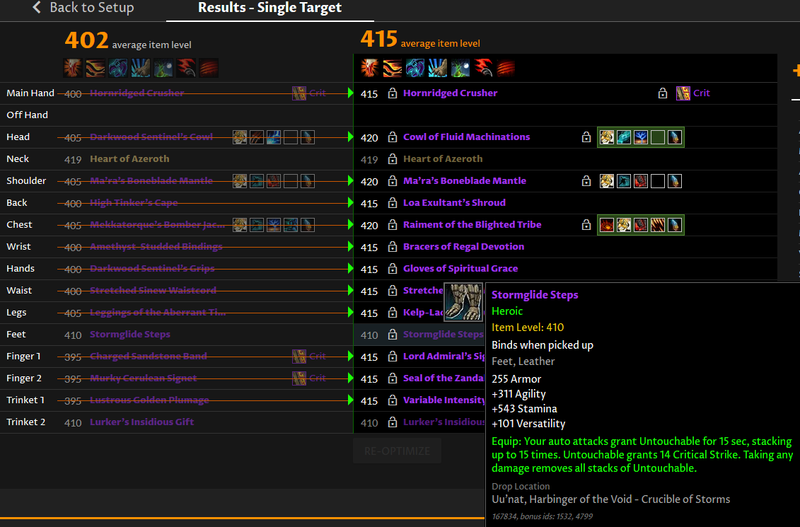 The tooltip knows where the items are from, I guess the Db doesn’t. I can’t reproduce that issue… maybe your starting character had those items equipped? It always includes what is currently equipped on the character. I can’t get loot from a raid which isn’t released yet. I was using a generic one, not sure why it isn’t happening for you. It still happens for me. Yeah see on the left? The generic character has those items equipped, so it includes them. I could look into altering that logic if the base character isn’t a “real” character… but probably will be a while until I can get to that one.